Over a billion of these non-composable sanitary pads are making their way into sewerage systems, landfills, fields and water bodies every month. Long-lasting, comfortable, stain-free and affordable are the thoughts that come to every woman's mind when she picks up a disposable sanitary napkin. We live in a society of convenience. Of course, modern day menstrual pads and tampons definitely have made feminine hygiene easier and more convenient. 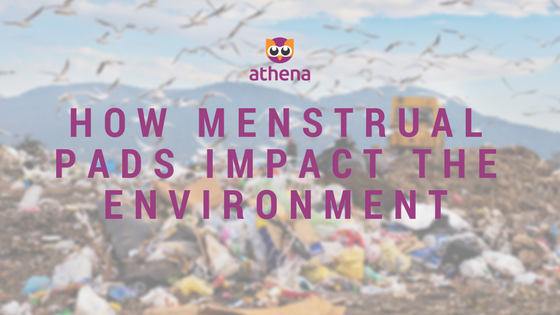 What doesn't occur to most women is that just as most convenient things, they have a devastating effect on the environment as well as women’s health. An average woman will use around 16,000 or more tampons or pads in her lifetime. That’s 7 billion tampons and pads landing in landfills each year. Most of them contain chemicals, toxins, additives and synthetic materials such as plastic. The plastics, first of all, take a very long time to breakdown. Second, they also end up leaking into nature, and polluting our rivers, lakes, streams and world. Most women in big cities and towns go for commercial disposable sanitary napkins (DSN) not knowing that some of these products pose health hazards due to its chemical cocktail content (dioxin, furan, pesticides and other endocrine disruptors), said experts. With no knowledge of how to dispose them off, most women just throw them in the garbage bin which usually gets mixed up with dry, wet and hazardous waste.Apart from the fact that it cannot be recycled, the exposed sanitary napkin poses grave health risks for the waste collector. The problem does not end here. The plastic layer which is used to make it stain-free and the chemicals used in producing it get further transferred between soil, water and air, experts added.Plus, think of the manufacturing, shipping, and packaging impact over the years. That’s a lot of waste involved! Alternately, opt for reusable Athena Cloth Pad. It's a safer, healthier and you will make huge impact for the environment.